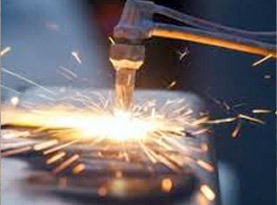 To form boilerplate products, template, or structures, it takes a process that involves cutting and bending metal, this is known at metal fabrication. 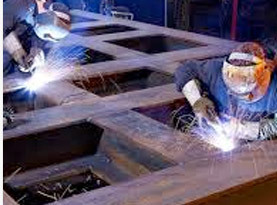 Customizing metal fabrication is essentially similar but specific requirements for customers needs are met that are exactly what is required for the project. Bowtie Tony’s Welding is readily available to assist our valued customers throughout Denver, CO and surrounding areas with their custom metal fabrications and for some examples, we are listing some of the top trends in metal fabrications. 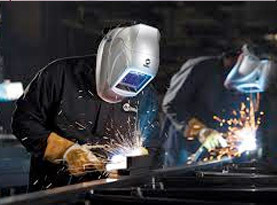 In custom metal fabrication services, in order to achieve the desired end result, welders have an arsenal of specialized equipment and talented experts. Instead of attempting to simply maintain a standard size or look, customized metal fabrication entails cutting and bending metal to form template, structures, or boilerplate products and is done according the precise requirements for your custom project. Starting as either structural or sheet metal, the custom metal fabrication begins from selecting one or both of these basic metal forms. In different variations of thickness and sizes, the sheet metal is available in rolls or rectangular sheets. Any sheet thicker than 3/16” is typically referenced as a plate. Structural metal, in comparison, comes in many different forms including beams, angles, and channels. The custom metal fabrication process has three stages. Metal cutting, forming, and assembly. 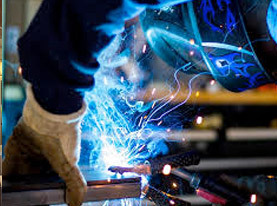 Metal Cutting: Welding services, such as from Bowtie Tony’s Welding, use an assortment tools like notches, plasmas, lasers, punches, saws and shears to cut metal. Metal Forming: After metals have been cut, the gorming takes place. There are several techniques that can be used to form the desired shapes, but it is done commonly by press baking and rolling. Metal Assembly: After the forming is concluded, it is then joined and assembled together as the individual pieces are welded together. Over the last several years, the metal fabrication industry has grown with demand and technological advances. With it becoming a booming service, below you find some of the top trends in metal fabrication. Automation: Helping to simplify all forms of metal fabrication, automation coincides with merging worker productivity. The tube laser technology allows for quite a few advantages over the traditional fabrication process. A few examples include the ability to produce more intricate cuts, increase fabrication speed, save on downstream assembly and reduce costs while improving the overall quality. 3D Printing: As metal fabrication services continue to advance, 3D printing technology comes in handy, especially with customized metal fabrication. Metal 3D printing contributes by involving the stamping of metals to produce a required design. The tools used in 3D printing can enhance any project. Metal Building Systems: From large car dealership showrooms, universities and churches to modest backyard sheds and studios; there are many advantages to metal buildings including design flexibility, high value-to-cost and the possibilities of large open interiors and large scale glazing. Custom Metal Furniture: It seems that everywhere you look, metals are a hot trend. From warm brass, copper and gold accents to cool nickel, chrome and stainless steel applications; there is no doubting that metals are here to stay. Custom metal fabricators can provide everything from hammered copper kitchen countertops and fireplace surrounds to metal lighting fixtures, corrugated metal cabinetry and ornamental iron railings; the popularity of custom metal furniture is rising. Bowtie Tony’s Welding is eager to help our valued customers with your projects, so we offer customized metal fabrication services to help with your unique and specific needs. Whatever your end goal is, our team of experts can help you achieve it. If you know you need help, but are unsure about the specifics, we can sit together in a consultation and discuss in depth about your plan and help you brainstorm ideas to help you with your project. No matter what customized metal fabrication project you need, Bowtie Tony’s Welding can help you!